One thing that’s remained consistent since the automobile made its debut over 100 years ago are tires. It’s fair to say that tires may be the most important safety and performance feature on a car; they are your vehicles only contact point with the road. Everything you do with your steering wheel, gas or brake pedal is transmitted to the road through the notepad-sized contact points your tires share the road. A car with a super powerful engine, performance steering and loaded to the gills with every imaginable option will be at the mercy of tires; the same can be said for an old beater. Essentially, a tire is simply a rubber-based tube that stores compressed air. The compressed air in your tires is what makes your car’s tires perform properly. Every year the tire manufacturing industry adds new components, materials and technology to make your tires perform even better. Tires are built to withhold the stress of a very heavy workload. When tires are under-inflated or not suited to the environment drivers put them through; passengers and others sharing the road at risk. With so much safety and money on the line, it’s important to make the right decision when purchasing new tires. We spoke with our Kingston tire purchase and repair centre and came up with a list of things to keep in mind when purchasing new tires. It’s important to understand how a tire works. One of the biggest mistakes we see at our Kingston tire sales department is people operating their vehicles with tires that are not the correct size. Your tire’s sidewall will contain all the size information you need. For example – P195/60R16 63H M+S should be broken down like this. M+S – The tire’s ability to function in various seasons. This tire would be suitable for all seasons. There are many types of tires on the market and it’s important to install a set that perfectly fit the manufacturer’s guidelines for your specific vehicle. For example, a light duty truck will typically have a tire that can handle higher load capabilities than an SUV’s tire. The tires may look similar, but there are some major differences. It’s highly recommended that Kingston drivers install winter tires during the colder months. This is will increase your vehicle’s safety and performance during the winter months. 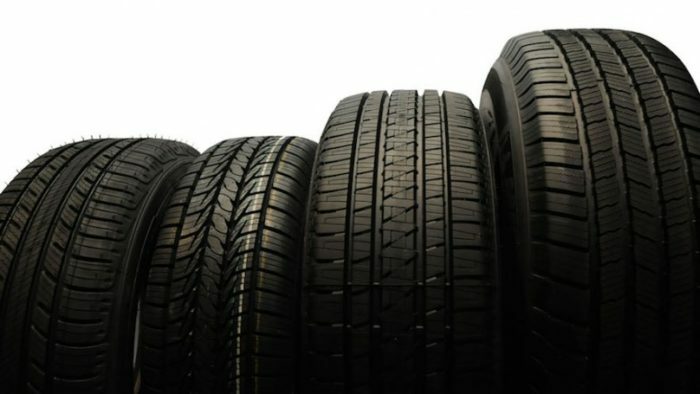 Tire manufacturers offer a wide assortment of tires with an equally wide range of prices. 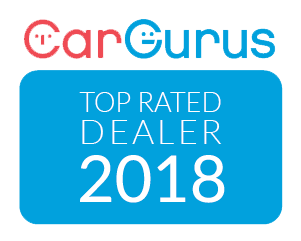 In Kingston, you’ll find dealerships and large chain tire companies such Midas, Canadian Tire, Speedy Auto Service and Walmart along with independent tire stores such as Kal Tire, Black Dog Tire & Lubricant, Fielding’s Tire & Auto and various other Kingston tire sales and installation stores. 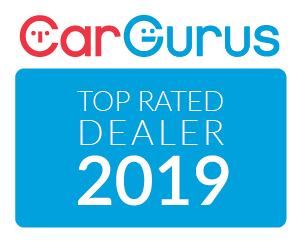 At CarOne Service we work with respected parts companies across the region. This gives us the ability to quickly find a set of tires that match your vehicle for some of Kingston’s best tire prices. Regardless of where you end up purchasing tires, it’s important to shop around (we’ve included a list of Kingston tire shops below). You want to find the perfect balance of tire pricing and quality for your vehicle. There are few questions you should ask yourself when purchasing tires. The answers will go a long way to determining what tires are best for your vehicle and driving habits. If you have a truck or van and regularly carry heavy loads, you’ll want to find a tire that has a higher load rating. It’s very important that Kingston drivers own both a set of all-season and winter tires. When you find the right all-season it might be worth well to purchase a similar set of winter tires. Talk to your service advisor about what’s important to you such as fuel mileage, noise suppression, quality and price; work with your tire expert and find the best tire that fits your driving needs. Over recent years ‘plus sizing’ has become more and more popular. Essentially, this means you mount bigger wheels and tires on a vehicle to boost its handling and to make it look unique. Many find that plus sizing will increase a vehicle’s turning response and traction, but it usually comes with an overall rougher ride. In the beginning, tires were fairly simple. They were simply solid rings of rubber wrapped around a wagon wheel. These tires created a very rough ride, but they lasted a very time and didn’t need much maintenance. They also worked well for the rough roads of the time. Thankfully, vehicles and roads have gotten a lot better since those early days of driving. Today’s tires are very complex feats of modern engineering. Over the last few years, tire manufacturers have been working hard to make a flat tire a thing of the past with modern technology. With this goal in mind, tires are becoming a lot stronger and can sometimes operate in the short-term without any air at all. Each tire manufacturer employs teams of engineers who try different combinations of materials and designs to produce tires that are very efficient, safe and affordable. Much of the work related to run-flat tires can be found in the design of the tire’s sidewall. A stiffer sidewall will reinforce the rubber in the event of a flat and can actually support the weight of a vehicle without air. Some companies utilize hard rubber or plastic rings to support the vehicles instead of the sidewall. Our tire experts at CarOne Kingston field a lot of tire-related questions. One of the most common is related to picking the right tire for good fuel economy. Buying a different set of tires can quickly save you money at the pumps (or can make you pay a lot more). It’s estimated that tires are responsible for as much as 20 percent of your vehicle’s fuel intake. This impact is increased when poor road conditions play a role (not to mention safety). The state of California has actually passed laws that require tire manufacturers to label tires with fuel economy information. Regardless of your tire’s brand, it’s important to ensure that all tires are properly inflated. Your vehicle’s recommended air pressure should be included in your owner’s manual. Some Kingston tire shops will sell you used tires. It’s a great way to save some money, but is the right decision? Honestly, it depends on the condition of the tires. Used tires with slight wear will probably work fine on your vehicle and it may be worth the money you save. If a tire is too worn it could be a major safety concern. A used tire can have defects, punctures and various other forms of damage. When you purchase used tires, test the tire’s tread with a quarter. Insert the coin into the tread’s groove with the caribou’s nose down and facing towards you. You want the tire’s tread to cover the caribou’s nose; otherwise, you’ll want to avoid the tires. Do your research and know your options. Used tires can save you money, but with the right tire promotion, you may find that purchasing new tires makes more financial sense. New tires will typically come with a guarantee or a manufacturer’s warranty, both of which could also save you a lot of money in the long-run. Your tires need other parts of your vehicle functioning properly to do their job. It’s important to keep your vehicle well-maintained. If you’re having problems with your CV joints, brakes, tie rods or suspension it might cause issues for your tire performance. Some Kingston auto repair shops will give you a better price if you get multiple repairs done at once. With your tires off, your mechanic can easily access more areas of your vehicle. Your journey isn’t over after you picked out that perfect set of tires for your car. You now need to ensure that you are properly maintaining your tires. The most important thing you can do is to regularly have your tires rotated by a professional tire expert. This will help prevent uneven wear on your tires. When left alone, your tires will create more road noise, lower fuel economy and won’t perform as well in bad weather. More importantly, tires that are not rotated will need to be replaced sooner. Properly inflated tires will also last longer. Tires with the correct tire pressure will generate less heat and friction; they will also have less uneven wear. Under-inflated tires will not perform as well handling corners because the sidewall will not be stiff enough. Tires will lose about 1-to-2 pounds of air a month; they lose even more pressure during colder months. It’s important to check your tire pressure often and follow your manufacturer’s recommendations.